Home » Resources » Grid-Tied, Off-Grid, or Hybrid: Which Solar System is Right for You? Grid-Tied, Off-Grid, or Hybrid: Which Solar System is Right for You? 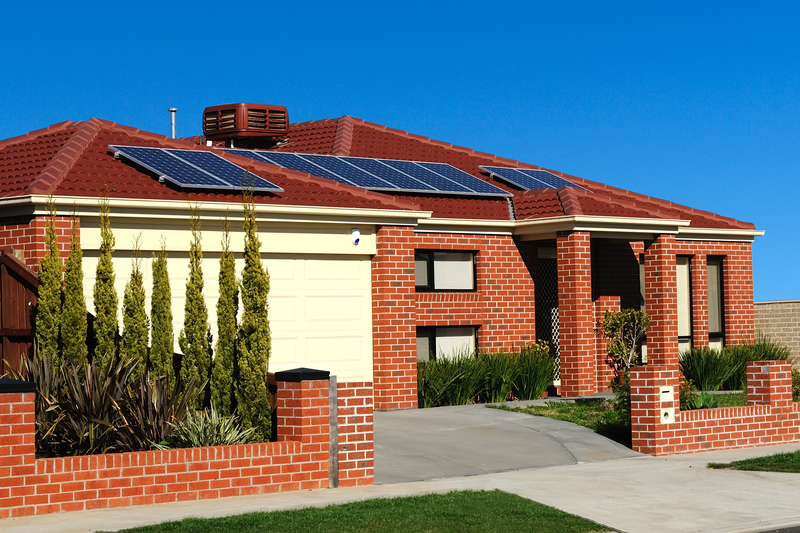 Solar power is more affordable than ever, making it an attractive option for many homeowners. 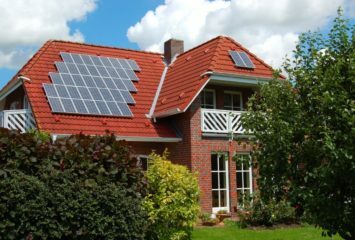 If you’re considering installing solar power in your home (and you should, as it’s one of the most efficient and environmentally friendly power sources available anywhere), you may be wondering what type of solar system to choose. Each type of solar system has pros and cons, and we’ll break down what you need to know to determine which is best for your situation. A grid-tied solar system is dependent upon your municipality’s electrical grid. The DC electricity generated by the photovoltaic (PV) panels is sent through a grid-tied inverter, which converts it to AC power that’s compatible with the grid. When purchasing or leasing a grid-tied system, customers sign a net metering contract with the utility company. The terms of these contracts vary widely by state, but they basically determine the price of installing a power meter that supports net metering (two-way power metering) and the price of electricity fed into the grid. A common misconception of grid-tied solar systems is that the electricity is fed through your home first, and any excess is sold to the electric company. This is true in some localities, but electric companies in many states like Michigan have actively lobbied to change these rules. The reality is all electricity produced by panels is automatically fed into the electric company’s meter, where it is under the control of the electric company. You have to read the fine print in your specific locality to determine whether you have a net metering or net purchase and sale agreement. Net purchase and sale — Under this arrangement, two uni-directional meters are installed: one records electricity drawn from the grid, and the other records excess electricity generated and fed back into the grid. You pay retail rate for the electricity you use, and the power provider purchases your excess generation at its avoided cost (wholesale rate). There may be a significant difference between the retail rate you pay and the power provider’s avoided cost. Net metering — Net metering provides the greatest benefit to you as a consumer. Under this arrangement, a single, bi-directional meter is used to record both electricity you draw from the grid and the excess electricity your system feeds back into the grid. The meter spins forward as you draw electricity, and it spins backward as the excess is fed into the grid. If, at the end of the month, you’ve used more electricity than your system has produced, you pay retail price for that extra electricity. If you’ve produced more than you’ve used, the power provider generally pays you for the extra electricity at its avoided cost. The real benefit of net metering is that the power provider essentially pays you retail price for the electricity you feed back into the grid. Even with net-metering agreements, some companies like SRP and APS in Arizona and SCE and PGE in California are finding ways to devalue electricity sold to them while also proposing extra fees to be assessed to solar users. Electric companies across the country are following the footsteps of those in Arizona and California. 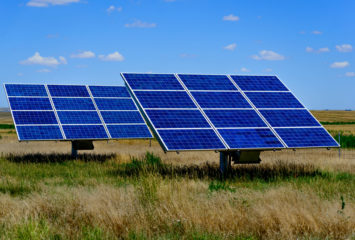 Still, grid-tied solar is the cheapest option available, as the PV panels, inverter, and meter (along with fuses, disconnect switches, breakers, grounding equipment and surge protection as required by the local government) are the only equipment necessary. Those seeking a low-cost, low-maintenance solar option should select grid-tied solar, which, in California, costs an average of $5.27 per watt for systems below 10 kWh and $4.37 per watt for systems above 10kWh according to the state’s consumer price index. Leasing equipment will push the price higher, while purchasing equipment can push the price below $3.00 per watt. The panels can withstand the weather, have no moving parts, and last approximately 20 years at full efficiency. In addition, since electricity is still pulled from the grid the exact same way it always has been, grid-tied solar is the most stable and efficient usage of solar panels. Instead of storing the power in batteries that degrade over time, you’re helping power your entire neighborhood in real time, decreasing how much energy you lose in storage. The downside to grid-tied systems is you’re still at the mercy of the electric company. As mentioned above, electric companies in many areas are aggressively adding fees and reducing buy prices to make solar users responsible for the extra strain placed on the grid. Another downside is that when the local electric substation experiences a blackout, a grid-tied solar system is also rendered useless. Off-grid solar systems can run independent from the electric grid. In order to accomplish this, they require additional hardware. DC power generated by the PV panels is fed into a charge controller, which regulates the charge instead of the utility company’s computer-controlled grid. From there, it’s fed into a DC battery bank, where it’s stored. The charge controller determines whether to trickle charge, full-load charge, or stop current from overloading the battery bank based on the battery charge level. Your home connects to the battery bank through a power inverter, which converts the DC power from the batteries to the 120V AC power utilized by most household outlets. Although lead acid car batteries (especially deep-cycle) can be used to build a battery bank, it’s not recommended, as these batteries have a short lifespan, especially when used daily. In addition, these batteries lose approximately 20% of the stored energy, wasting valuable electricity and undermining the environmentally friendly aspect of solar. Many companies produce lithium ion batteries specifically designed for solar applications, like the popular Tesla Powerwall, a 6.4 kWh Li-ion battery with a 10-year lifespan. These batteries are much closer to the 7% energy waste created by the utility company’s grid, though the efficiency decreases over the lifespan of the battery. New types of batteries, like the zinc bromide ZCell, may improve efficiency over time, but they have yet to be tested in the residential market. Keep in mind that some energy is lost in charging the battery, regardless of what type of battery is used. Because of this extra equipment, off-grid solar is more expensive than grid-tied, with the Tesla Powerwall costing $3,000 (or $6,000 during the 20-year lifespan of the solar panels) and a 10kW inverter costing $300-$500. An additional DC disconnect switch is also necessary between the battery and inverter, which adds an additional $100-$200. Off-grid solar is ideal for remote places or underdeveloped areas where the electrical grid isn’t stable. It’s also a great solution for people who can afford the upfront costs and wish to untether themselves from the electric grid completely. A downside to off-grid solar becomes apparent when sunlight isn’t as readily available, such as during long storms in the winter, when the sun is already up for a shorter span of time each day. In addition, late afternoon and early evening (when the sun is shining less) is when the average household consumes the most energy, as typical work/school schedules and lifestyles have people away from the home during the day, and both light and heat are often necessary when the sun is down. This is why at least a 6.4 kWh battery is necessary in order to store enough energy for your needs. During the summer in many areas, an off-grid solar setup actually generates a surplus of energy. A lot of the solar electricity produced during this time goes to waste as opposed to a grid-tied system, which distributes it to the substation. Also, since you’re untethering from the grid, you’re solely responsible for the entire solar system, including maintenance and replacement parts. With an off-grid system, it’s important to have enough battery capacity to store excess energy, and it’s recommended to also have a backup gas generator in case of emergencies. These add another $2000-$10000, depending on the necessary load. To get the best of both worlds, you can opt for a hybrid solar setup. With a hybrid setup, the solar battery is used as a backup in the event the grid goes down. Since it’s being used as a backup instead of full-time dependence, the battery discharges less frequently, which extends its life. This means the battery needs to be replaced less often, and saves you the cost of purchasing a backup generator. Keep in mind that the battery bank isn’t charged during a power outage. Grid-tied solar panels are designed to stop producing electricity during an outage in order to protect the electrical workers from working on live power lines. This means the same battery capacity is still necessary as with an off-grid system. A hybrid system is still more expensive than a grid-tied system as you need to purchase a battery bank, but it’s cheaper than an off-grid system because it doesn’t require an additional backup generator. For those who want peace of mind and don’t mind the extra expense, it’s an ideal solution that ensures you have backup power in the event the grid stops working. Whether or not you choose to remain tied to the grid or rely solely on solar power depends on your budget. Grid-tied solar is the cheapest option, but leaves you at the mercy of your electric company, which is aggressively lobbying to increase costs to solar customers. Also if the grid’s substation goes down, you’ll be without power like everyone else, as the panels are shut off to protect electrical workers. Off-grid solar is much more expensive and requires the addition of both solar batteries and a back-up generator to make up for times when solar power is less available.Extra equipment is also necessary and you’re solely responsible for maintenance. A hybrid solution provides the best of both worlds, allowing you to both sell power to the electric company and rely on battery backup in the event that the electric grid goes down. A hybrid solution saves you the cost of a back-up generator and you’ll still have maintenance support from the electric company. Regardless of which solar setup you choose, it qualifies for the maximum federal solar tax credits through December 31, 2019 (and lower credits through 2021) so there’s no better time than now to get started.